The dominant paradigm of the industrial growth society is failing to deliver on its promises. Where we were 'supposed' to get freedom, material abundance, safety, and well-being we increasingly find environmental disaster, economic precarity, and violence. I wrote a thread exploring this, where I mentioned that the failure is non-uniformly apparent, with people who are part of marginalized groups often much clearer about the failures and their causes than those who are more privileged. A thread about sea level rise, paradigms, and #sytemsthinking or about why so many people might look less panicked than you might feel. I just read "Heaven or High Water" about shopping for real estate in Miami. How is it that, with streets already flooding on sunny days, people are building, buying & selling pricey real estate that will be unlikely to live out its lifetime high & dry? Here's what struck me about the people described in the article: they weren't 'just' in denial. It was almost as though, even dressed up in their fancy realtor outfits, but with rubber boots to slog across the flooded sidewalks, they almost weren't seeing the rising water at all. I am so impressed by this thread, and I think that, though she is speaking only for herself, @rgunns is modeling (yet again) the type of leadership we need to navigate our intertwined crises, of which climate change is just one example. I mean, of course we don't know what to do. Anyone who offers certainty about how to transform the economy away from its polluting base in a matter of decades while protecting people and addressing profound inequities should not be trusted, in my opinion. A thread about exponential growth in honor of today's #ClimateStrike. One of the many ways complex systems fool people's intuition is because of the exponential growth behavior generated by reinforcing feedback loops, where change feeds back on itself to create more change. Exponential growth is the reason for all the warnings and worry about tipping points in the climate system where, after some point, warming creates more warming, regardless of human mitigation efforts. Despite a weekend break from the debate, my attention keeps getting pulled back to the threads arguing that personal action to lower one's carbon footprint is ineffective at best and counterproductive at worst toward the goal of climate protection. This is still not sitting well with me. I think the effort to address climate is a systems change process & over the years, from change processes I've been involved in, I've come to feel that change is fractal. 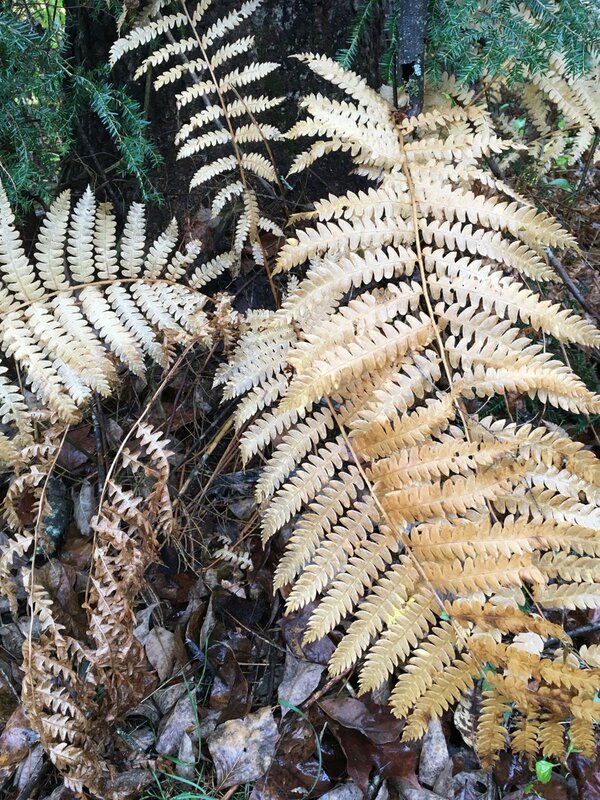 Ferns are my mental image of fractal, where the shape of the whole fern is similar to the shape of a frond, is similar to the shape of the tiny bumps on the fronds. (Trees, river deltas, capillary networks, neurons are all are good images too). I realize that Twitter isn’t always or only about learning, but I try to make use of it in that spirit, and I had that opportunity recently. It was uncomfortable, but I am grateful for it. Yesterday I deleted a thread. It was a thread that I liked and had spent some time drafting, and it was one that some people seemed to be appreciating and sharing. I was cooking dinner and checking my phone now and then, seeking that sweet little dopamine rush that comes from feeling like my words matter to people, when I saw a comment along the lines of “this thread is so white." One thing in the way of effective action on our #climate crisis (and our toxics crisis, our biodiversity crisis, our plastics in the ocean crisis, not to mention our violence, war, poverty, racism, & sexism crises) is a terrible misunderstanding of who/what we are. Many people speak about this as a spiritual/moral crisis and I agree. But, the misunderstanding I want to talk about is at once simpler and more profound.